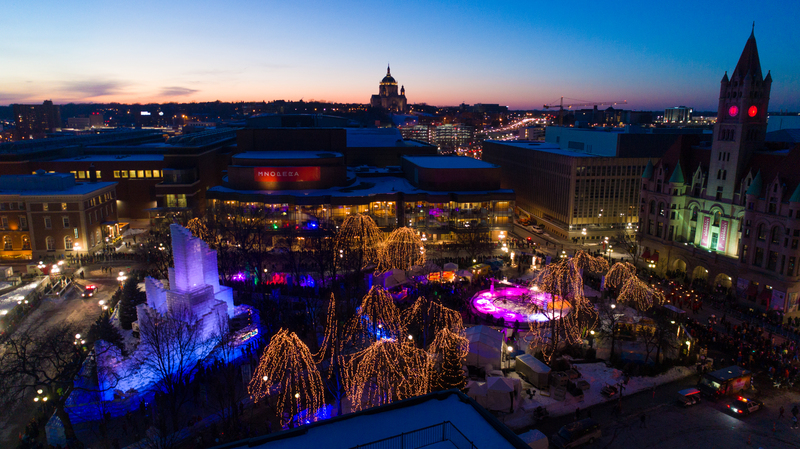 Did you capture an amazing shot of the Ecolab Ice Palace or a special activity during the 2018 Winter Carnival? Did you take a photo you can’t wait to share with the world? Submit your best photos (up to 10 per entrant) for a CHANCE TO WIN in the Winter Carnival Photography Contest! Use the form below to submit your best shots by March 30, 2018. 1st Place: $100 Amazon gift card and a framed copy of your winning photo! Photography should capture the spirit and energy of the Winter Carnival. The focus could be on any element from activities to entertainment, food or special events. Photographs will be judged on the overall quality of both the image (technical), and the subject, and how these two combined elements present a compelling narrative or idea. All photographs must be taken during the 2018 Winter Carnival. Entrants must be 18 years or older. All photos submitted to the Saint Paul Festival and Heritage Foundation (SPFHF) must be the legal property of the person submitting the image. SPFHF will not be held responsible for any copyright infringements. By entering this competition you grant SPFHF the right to publish or reproduce submitted photo(s), along with your name, location, type of photographic equipment used (if available) on any SPFHF websites, printed materials, newsletter and other social networking channels, without fee or compensation. SPFHF may use submitted photographs for promotional use only, NOT for commercial use. Small photo alterations may be made by our staff in order to format submitted for social media, print or promotional purposes. SPFHF will not accept photographic images of children under the age of 16 without consent of a legal guardian or parent. The Saint Paul Festival and Heritage Foundation (SPFHF) prohibits the use of photos, videos or audio tapes made at the Winter Carnival or associated events without written permission from SPFHF. All photographs appearing on this site are the property of SPFHF, are protected by U.S. Copyright Laws, and are not to be downloaded or reproduced in any way without the written permission of SPFHF. All Rights Reserved.